A Germantown, Maryland, man is charged with five counts of attempted murder after police say he held a family hostage at gunpoint inside a home on Monday. 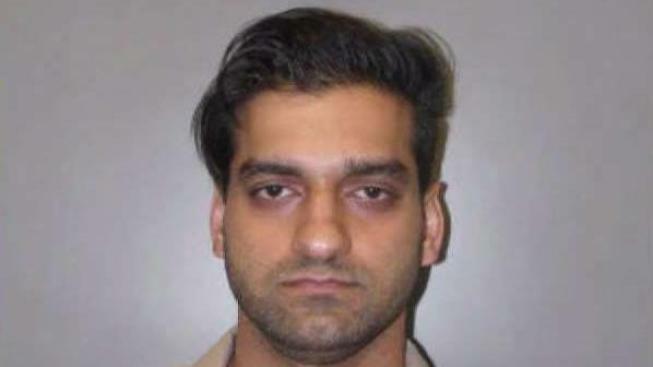 Montgomery County police say 29-year-old Zain Imdad broke into the house on Jump Drive with a BB gun and a knife and threatened to kill his wife and her family, including a 15-year-old boy. The family told police they thought the black BB gun was a real handgun. "The family was basically held there and threatened with murder, that he was going to kill them," Montgomery County Police Cpt. Tom Jordan said. Imdad and his wife were due in court Monday for a hearing ona protective order his wife says Imdad violated, according to court documents. Court documents say the domestic issues began last summer when Imdad asked his then-girlfriend to marry him. When she refused, he shot himself in a failed suicide attempt on July 3, the documents say. During his recovery, Imdad told his girlfriend that she must marry him or he would harm her and kill her family, court documents say. The couple then married at a courthouse on Sept. 14, but kept the marriage a secret for months. Imdad's wife said she finally told her family in March they were married out of fear for her own safety, according to the court documents. A judge then issued a court order requiring Imdad to stay away from his wife. According to his wife, Imdad violated the order at least two times, including once when she told the court Imdad sent her a suicide note. The wife and her family moved in the hopes that Imdad wouldn't find them. "He was told to stay away and he didn’t stay away. In fact, he came to the house with extreme ill intent," Jordan said. Police say they found Imdad choking his wife and holding a knife to her throat when they responded to the hostage situation Monday afternoon. In addition to weapons, Imdad brought duct tape and five sets of handcuffs to the house, police said. At one point, a family member was able to call another relative who called police. "He had mentioned that to the family if police came he was going to shoot police and kill the family," Jordan said. According to charging documents, Imdad wrote a note to police saying he planned to drink poison after killing his wife and her family. Police said Imdad had four bottles of white liquid with him that he said was poison. A hazmat team removed the liquid, which was sent for tests. No one in the home was seriously injured during the hostage incident. Imdad is expected to make his first appearance in court on Wednesday.